DR ARI FRIEDLAENDER is a marine ecologist at UC Santa Cruz and the California Ocean Alliance. 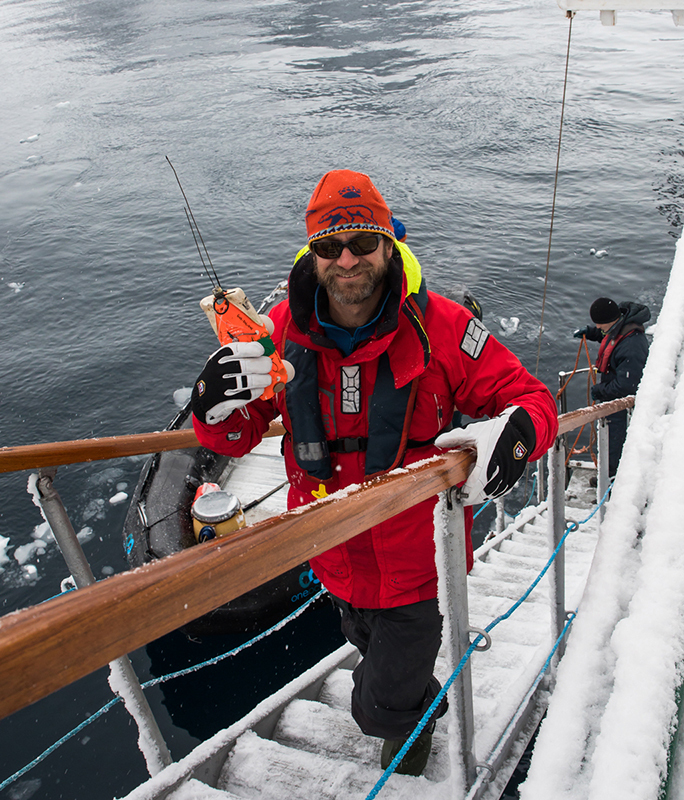 Ari and his team conduct research in Antarctica to improve our understanding of whales, focusing on underwater behaviour and ecological links between marine mammals and their environments. By analysing tag-derived data collected onboard with OOE, we can learn about how whales interact with their environment and how they are affected by climate change. 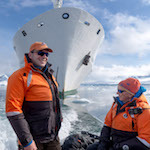 Ari has partnered with One Ocean Expeditions, the World Wildlife Fund and Antarctic Wildlife Research Fund to promote the development of marine protected areas in Antarctica. We recently caught up with Ari ahead of his Marine Mammals voyage which you can still join departing March 21st, 2019. 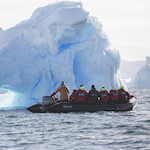 OOE: You’re soon heading back to Antarctica onboard with One Ocean Expeditions. What research will you and your team of marine mammal scientists be conducting this year? Ari: This year we are focusing on a few long-term projects, as well as a couple of new opportunities. By being able to have scientists on board One Ocean’s ships throughout the Antarctic season, we are able to collect information on when whales return to Antarctica, and where they go during the season. This is a critical question for us because we are interested in understanding how these whales are responding to climate change in the region. For example, we have found that humpback whales are staying later and later in the season because sea ice does not form until later than it has in the past. Krill move inshore late in the season as well and form large aggregations that the whales can easily feed on. So we are interested in finding out if this means that the whales will arrive later and stay later to take advantage of this new feeding opportunity. We are also trying to understand how and when whales put on weight during the feeding season. For this, we are collecting aerial images from drones that allow us to measure the size and width of the animal. By collecting images throughout the entire season we can begin to tell when weight gain is the greatest and this will indicate the most critical feeding periods for the whales. We can combine this information with biological information from skin/blubber biopsy samples to tell which whales are male or female and of the females, which are pregnant. Then we can determine if the rates of growth are different or similar for animals in different stages of their lives, and across years and if there are links to changing environmental conditions that we can see in whale health. 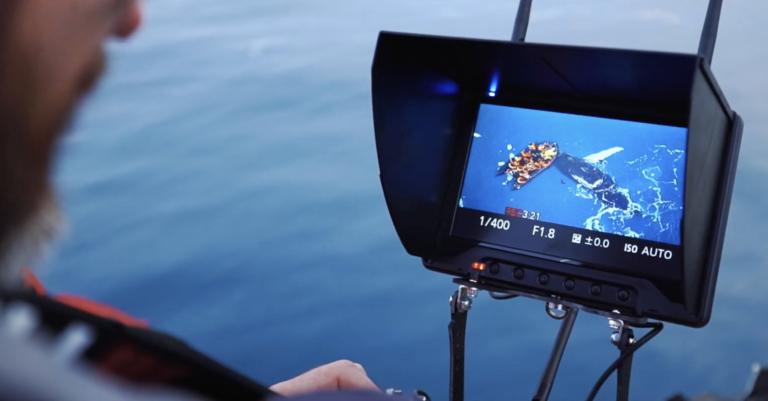 Dr. Ari Friedlaender using a drone to monitor humpback whales. Finally, we are also really interested in the underwater behaviour and feeding strategies of both humpback and minke whales. We have been deploying video-recoding and motion sensing tags on these whales for many years and are still learning a ton about how they feed, how often they feed, what depths do they feed at, etc. With the addition of a video camera to the tag, we can start to learn more about what the whales are actually encountering and how this affects their behaviour. For example, we know almost nothing about how minke whales navigate and feed under the sea ice, but our tags can show us what a minke whale sees and what types of ice it prefers, how it finds breathing holes, and where it feeds. For a species like minke whales that require sea ice as their preferred habitat (to avoid killer whale predation), we need to understand how much time they spend in sea ice and what types of sea ice they utilize. 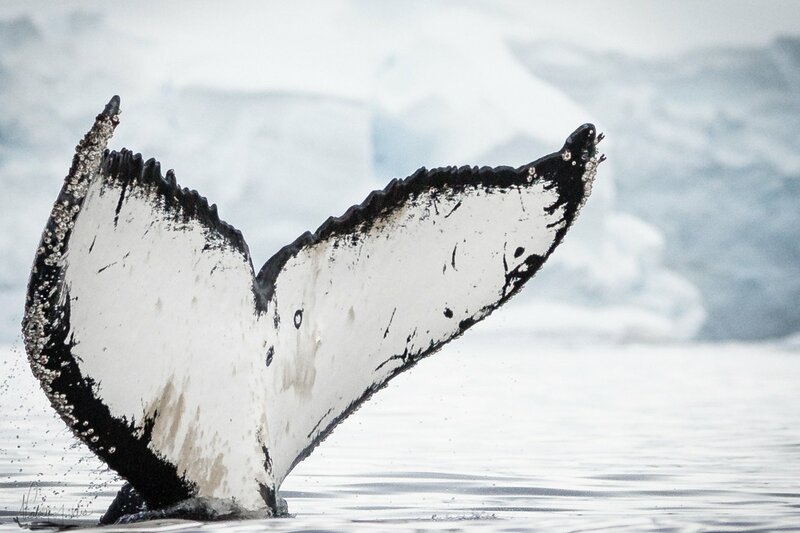 We are racing against the clock to learn about these whales that are at risk from reduced sea ice cover in the Antarctic Peninsula and our work with WWF and One Ocean Expeditions to study these enigmatic whales is critical. 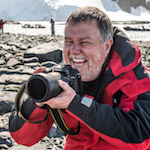 OOE: You have been researching marine mammals in Antarctica for two decades, several years of which with OOE. What have been some of your key findings to date? Humpback whales are amazing at finding areas of high prey availability. Regardless of the conditions or time of year, humpback whales are able to find the areas with consistently the most amount of food and they are able to feed in a way that maximizes their energy gain relative to the energy they use to feed. In other words, humpback whales have optimized their feeding behaviour to get the most bang for the buck. We have found that humpback whales stay later in the Antarctic fall than we previously would have suspected because climate change has delayed the onset of winter sea ice and the whales take advantage of this. The good news is that humpback whales are recovering very quickly from commercial whaling in the 20th century. One of our graduate students has found that nearly 2/3 of all adult female humpback whales are pregnant in a given year and that some are actually both pregnant and have a dependent calf that they are weaning at the same time! This is amazing for an animal that is 40 tons, to be able to feed itself, a dependent calf, and growing a fetus inside of it. We have also literally broken the ice with Antarctic minke whales. 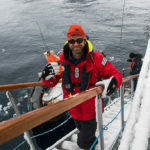 In fact, the first ever video tag deployed on an Antarctic minke whale came during a One Ocean Expedition last January. From this, we have learned that minke whales feed at incredibly high rates. When baleen whales feed they accelerate rapidly towards a prey patch and then open their enormous mouths filling up a very flexible throat pouch that allows them to literally engulf a mass of water that is the same weight as the whale itself! A 25-meter long blue whale can get ~130% of its body weight in water in one feeding lunge but an 8-meter minke whale can only get 75% of its body weight because of how their bodies scale with size. Thus, it also takes quite a while to process all of that water and sieve it through their baleen. It takes a blue whale about a minute to do this, but it only takes a minke whale a number of seconds. We have found that minke whales can feed over 20 times on a single dive, but a blue whale is limited to about 5-6 because of how much energy (oxygen) it takes to feed. But, in an hour a blue whale can process 16 times more water than a minke whale even if the minke whale feeds that much faster. This is one of the ways that blue whales maintain their massive body size as they can get more prey because they can filter more water than a minke whale. 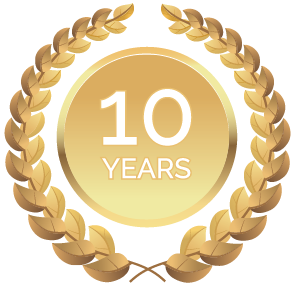 OOE: What is the importance of gaining this kind of data over a long period of time? Ari: Collecting these kinds of data over long periods is critical for a couple of reasons. First, these are animals that have a life span similar to humans, so in order to detect changes we often times need many years of data. As well, in order to find significant trends in our data, like the timing of when whales arrive or how they put on weight, we require large sample sizes over many years that allow us to look at our information over years with good ice conditions, bad ice conditions, and everything in between. The more data we have the more precise and accurate we can be about our findings and the greater our ability to understand fully how climate change and other factors are affecting these whales. OOE: What impact has your research had on our understanding of the effects of climate change and on conservation efforts in Antarctica? I am really proud that our research has helped to understand the impacts of climate change on marine mammals in Antarctica. As mentioned before, we see contrasting effects about how changes in the amount of sea ice will impact whales. 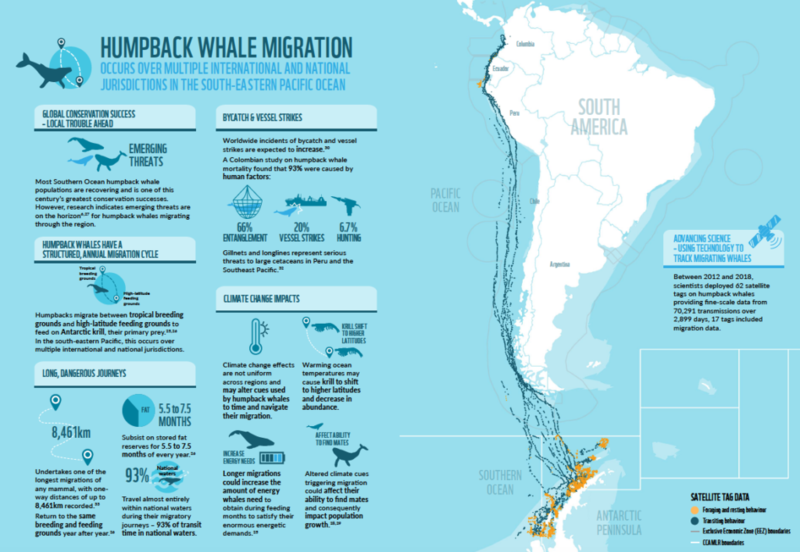 Currently, it seems that humpback whales are taking advantage of the opportunity to feed for longer and find dense krill patches later in the season and this has manifested in their incredibly high population growth rates. In contrast though, the amount of available habitat for Antarctic minke whales is decreasing and this means that those animals will have to move to other regions that have more and better habitat so the number of minke whales around the Antarctic Peninsula may be changing before our eyes. 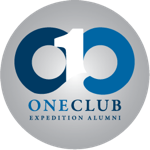 One Ocean Expeditions’ commitment to supporting both research and education is amazing and they are giving us the opportunity to do this work. We are using all of this information in combination with the great work by other researchers who study other krill predators like seals and whales to develop the guidelines for a new Marine Protected Area (MPA) to preserve the critical foraging areas from competition with the commercial krill fishery. One of the biggest impacts of climate change and the reduction of sea ice will be that the amount of krill available for predators will decrease because there is a strong relationship between the amount of sea ice in winter and the survival of young krill. So with fewer heavy sea ice years, the potential for krill stocks to decrease is pretty high and because of this, there is going to be an impact on krill predators. In order to minimize this impact as best as we can, it is our responsibility to manage and protect this region and the places that are critical for the animals that thrive here. Our work with One Ocean Expeditions and WWF to help contribute to the development of a new Marine Protected Area is one of the most rewarding accomplishments in my career. OOE: This year you have two education specialists from Ocean First joining you onboard. What initiative are you be working with them on? Ari: We have a wonderful collaboration with Ocean First, which has an amazing educational program that is available for students through high school. They have developed a number of different courses and lesson plans for marine biology classes and we are going to work with them to create new lesson plans for a course on marine mammals! This is an awesome opportunity for us to work directly with Ocean First and build a unique set of teaching modules for marine mammal research as well as Antarctic ecology that will be available to literally tens of thousands of students around North America. 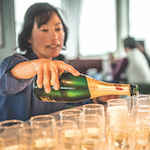 One Ocean Expeditions’ commitment to supporting both research and education is amazing and they are giving us the opportunity to do this work. OOE: We hear you will be working with the BBC to film the Frozen Planet series. This sounds very exciting! Can you tell us a little bit about it? Ari: Obviously, the BBC makes the most compelling and amazing natural history programs in the world. From the original Frozen Planet, to Blue Planet, to Planet Earth, the most extraordinary images of animals and our planet come from the BBC. We are so proud that they are filming for an updated and new Frozen Planet series and that one of the critters they want to feature are Antarctic minke whales. Because of our success in tagging these elusive whales, we are working with BBC to develop a new video recording tag that collects video at a broadcast resolution and our goal is to deploy one of these tags on an Antarctic minke whale this season. To be able to see, from the whale’s perspective, how it navigates and negotiates the sea ice environment will be remarkable. To see how these whales interact with one another and how they feed on patches of krill will be amazing. To be able to help contribute to a series like this is a dream come true as a scientist and educator and it would literally not be possible without the support from One Ocean Expeditions. 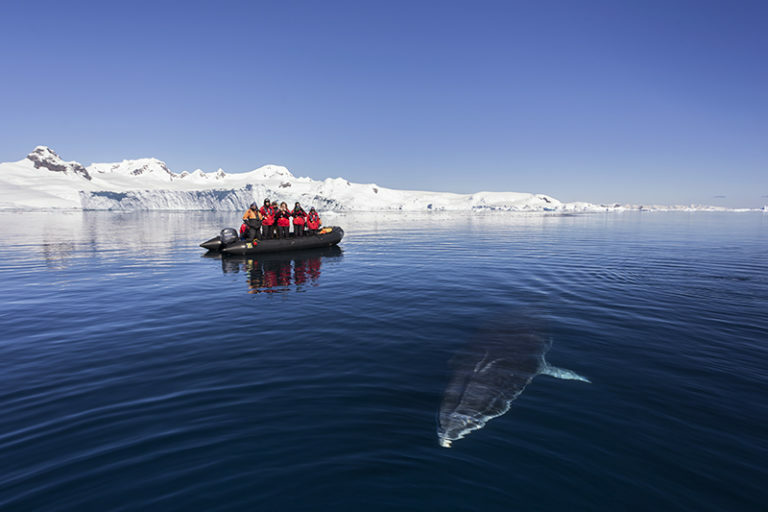 Zodiak passengers watch a curious minke whale. Our sincere thanks to Dr. Ari Friedlaender for taking the time to talk to us about some of his vital work and findings to date. It’s great to see so many successful scientific missions taking place onboard! 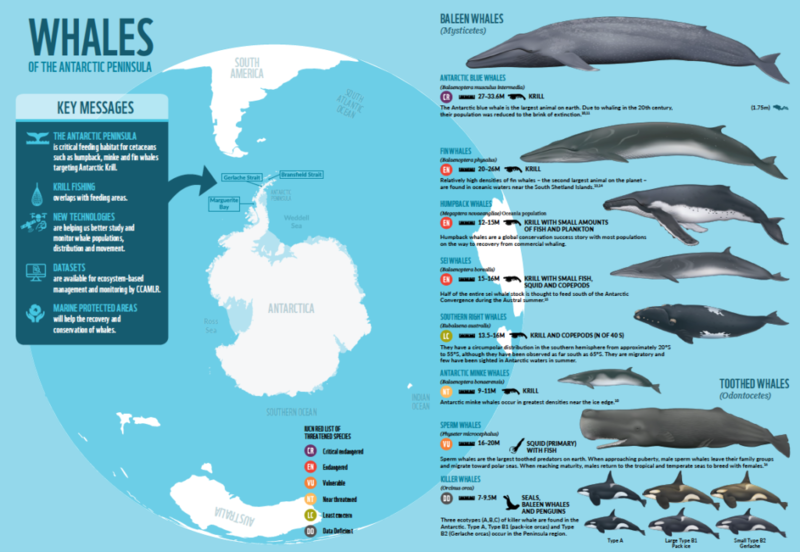 You can read the full WWF UCSC Antarctic Whales Report 2018 here. 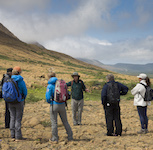 If you are interested in travelling with Ari and his team of scientists and learning more first-hand, you can still join him on the Marine Mammals voyage March 21st, 2019. Please contact your preferred agent or our sales team here. You can find out more about Dr. Ari Firedlaender ‘in his own words’ here. You can find out more about the ‘Map to Paradise’ documentary featuring Ari, filmed in part onboard with OOE here.